Denne model er 188 cm og bruger en størrelse M. Brystet måler 107 cm og taljen 86 cm. With its stretchy resilience and batwing construction, this short sleeve top supports all the pushes, presses and overhead raises your WOD dishes out. Speedwick fabric moves sweat away from the skin so you can focus on your workout, not the wetness. The all mesh back panel lets airflow in to keep the cooling coming. 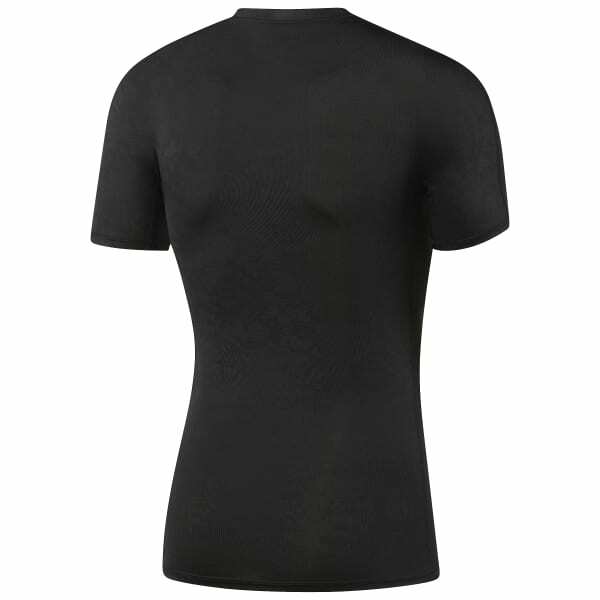 We've fortified this shirt with an all over antimicrobial treatment to protect the skin from common bacteria often found lurking on mats and other equipment in the box.